"Home of Kurt S. Adler/ Santa's World"
We will have 2 Market days at the end of April, April 29-30, when you can come and visit the gift mart. If you have not yet ordered for Christmas this is a good opportunity to get your buying done before goods begin to sell out later in the year. Introducing new licenses from Kurt Adler: Stranger Things, Rick and Morty and Bob Ross. .
Our "Twinkly" programmable light sets from Kurt Adler you can control with your iphone, ipad or other smart device. For indoor AND outdoor use. Cozy Cottage is a new country theme featuring red colors, bells, corrugated tin touches and fabric ornaments. This year's Country tree features some of our new lodge ornaments, decorated with buffalo plaid. Plus more plush animals, owls and brushkin critters. Our Nautical theme continues this year with many more mermaids and other sea creatures. We added so much nautical that we gave a separate wall tree to our sparkly gold and silver nautical theme as well! Our new City Glamour theme is a gorgeous mix of blue and silver that exudes elegance and glamour. New for this year is our Unicorn theme, featuring a fantastic selection of magical creatures with pink, purple and pastel colors. Our Gold tree continues with the Winter Woods theme, as well as blending in some of our other gold, silver and platinum ornaments to beautiful effect. Our popular Mid-Century Christmas theme continues this year on a stunning silver tree with many new ornaments. Introducing our new Ruby Platinum theme, an elegant red tree with red/platinum ornaments. Kurt Adler continues our traditional Gingerbread theme this year with many more new gingerbread ornaments and sweets. Kurt Adler adds lots of new food ornaments again this year, along with our popular Vineyard theme pictured above. Kurt Adler features new Kringle Santas and Fabriche Santas. New licensed items include Lionel Train ornaments. 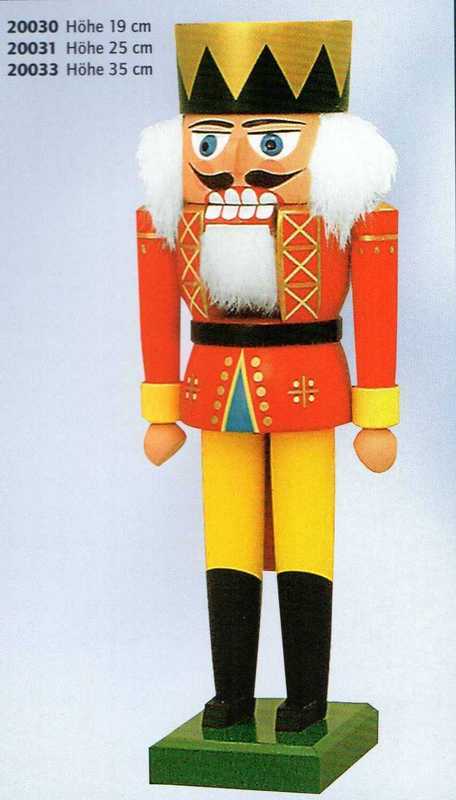 New Hollywood Nutcrackers from Kurt Adler. 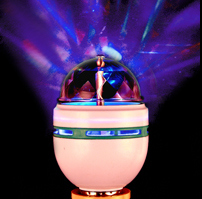 Our disco bulb transforms a standard lamp into a disco! See our new twerking dog! Snowfall lights make for an eye-catching display. 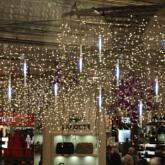 Kurt Adler has added to their popular Fairie Lights category. A new Nutcracker Suite assortment highlights new ballet items. New pet ornaments include new additions to our popular dog on tree assortment. New musical water globes from Kurt Adler. Our Peek-a-boo bear is a top seller! This duck will talk back to you! Here are some more categories you can view: Hunting, Fishing & Camping, Food & Sweets, Baby's 1st Christmas, Irish, Sports & Occupations, Peacock, Delft, Personalized, Lights and Treetops, Shatterproof and Halloween. To see a gallery of select additional items and top sellers from Kurt Adler, click here. Located in Framingham, MA, Worth Imports is a leading supplier of weatherproof picks, garlands, decorative wreaths, Halloween decor and more! IMC is one of the leading suppliers in the Christmas industry of holiday window candles of all kinds, including LED timer, light sensor and plug-ins. KWO is a leading supplier of German nutcrackers, smokers, pyramids, figurines and more. 320 Toys presents "Santa Clothes", an adorable and cuddly plush toy Santa that comes with clothes for 12 days leading up to Christmas. Great item for kids! Alsh features a large assortment of Russian nested dolls, both Christmas and every day, along with carved wood Santas and gifts. Cuppa makes custom mugs, water bottles, ornaments and more. All are made in the USA, and minimums are small for custom designs. Great for tourist destinations! Wholesale customers: click on this button for information, catalogs,& on how to order! Retail customers: click on this button for information on stores that carry our merchandise. Want to join our email list? Be informed of all the new Kurt Adler items and themes, as well as other special information. Click here for more information. We are looking for PART TIME SHOWROOM HELP in sales. If you are interested in working in our beautiful Christmas showroom and have some sales experience, please get in touch with us at 800-562-0088 or jpaykuss@aol.com. Click HERE for more information.